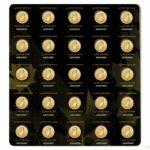 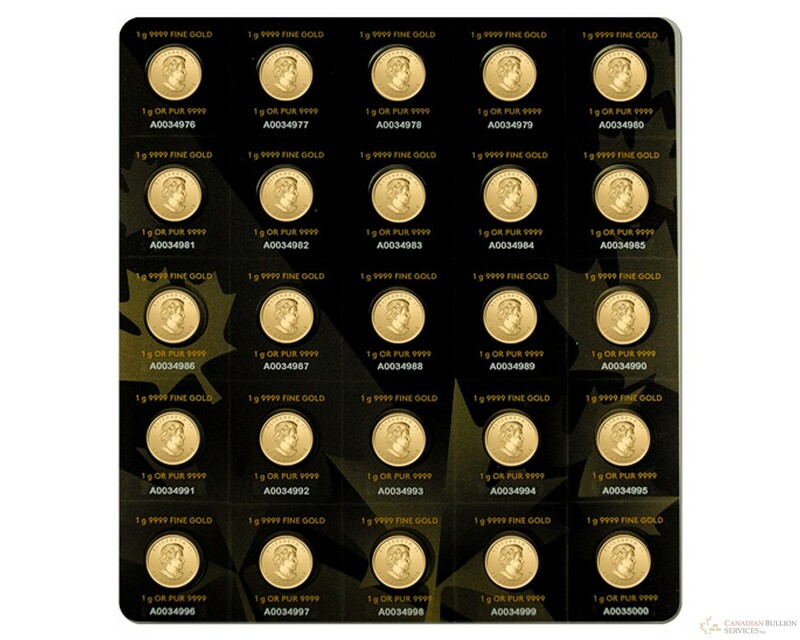 Perfect for the first time gold coin buyers or as a beautiful gift, buying 1 gram Gold MapleGram Coins brings the iconic Canadian Maple Leaf design in the form of a 1 gram gold coin that is conveniently packaged in an individual assay card with a unique serial number. Each 1 gram Gold Canadian Maple Leaf is of .9999 fineness and is rendered in exquisite detail following the tradition of quality from the Royal Canadian Mint. 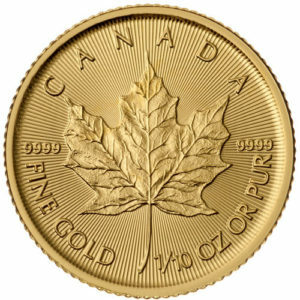 Since it was first struck by the Royal Canadian Mint in 1979, the Canadian Gold Maple Leaf has become one of the most popular gold bullion coins in the world. 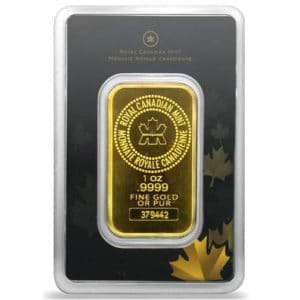 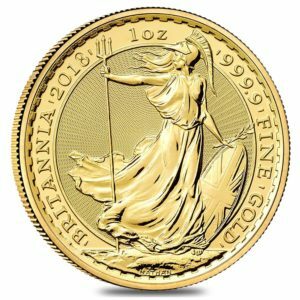 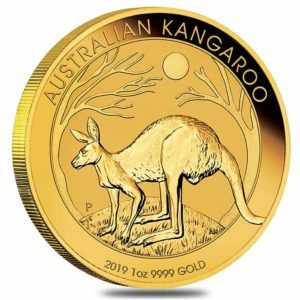 As the first gold bullion coin to ever be minted in .9999 fine gold bullion, RCM’s 1 gram Gold Maple Leaf Coins are trusted worldwide for its purity and admired for its superb detail. 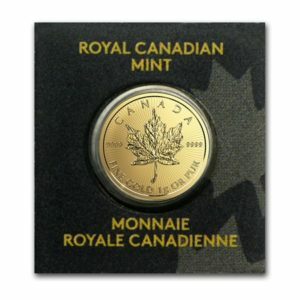 While they come in sleeves of 25, individual coins can be purchased as each coin is individually packaged and will remain in an essay with serial number.